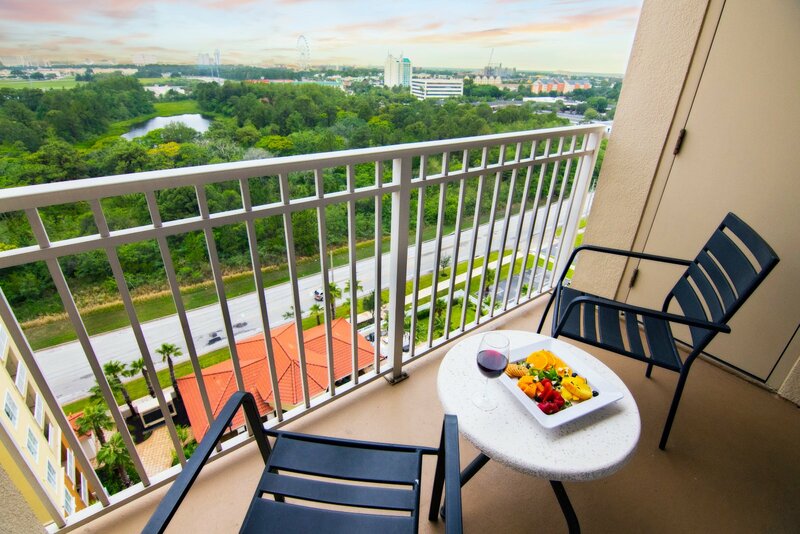 The Point Hotel & Suites is the premier vacation destination for business and pleasure in Orlando, Florida. Experience exceptional customer service, in a luxuriously furnished executive studio, one-bedroom or two-bedroom suite. Plan a productive business trip with Wi-Fi and modern workspaces, or relax with gel-infused mattresses and deep-soaking Jacuzzi tubs. 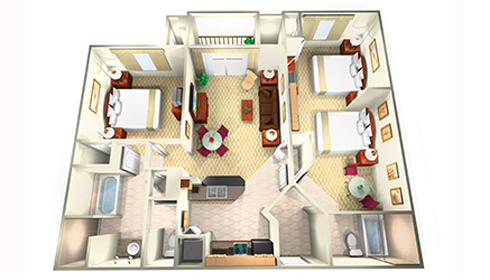 The contemporary Executive Studio Suite features more space and amenities than the average hotel suite. 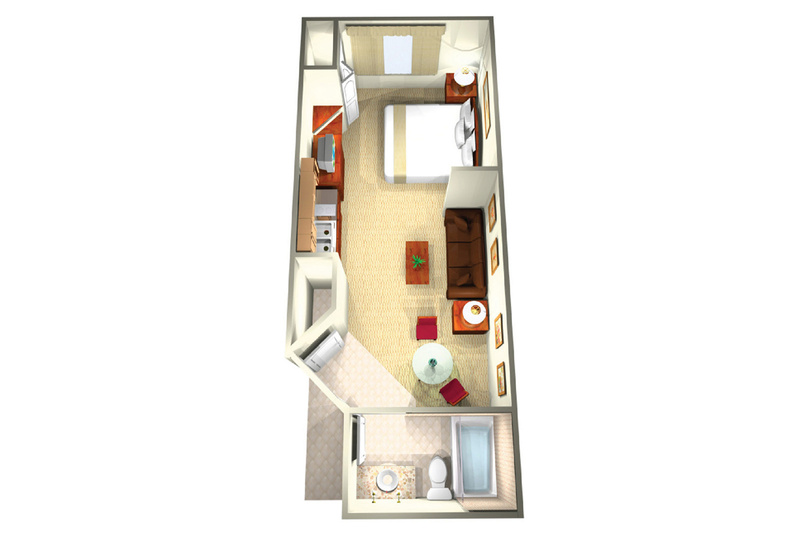 Spread out in 385 square feet of living space with enough space to sleep, relax and work. The suites amenities and service are unparalleled in this boutique hotel. 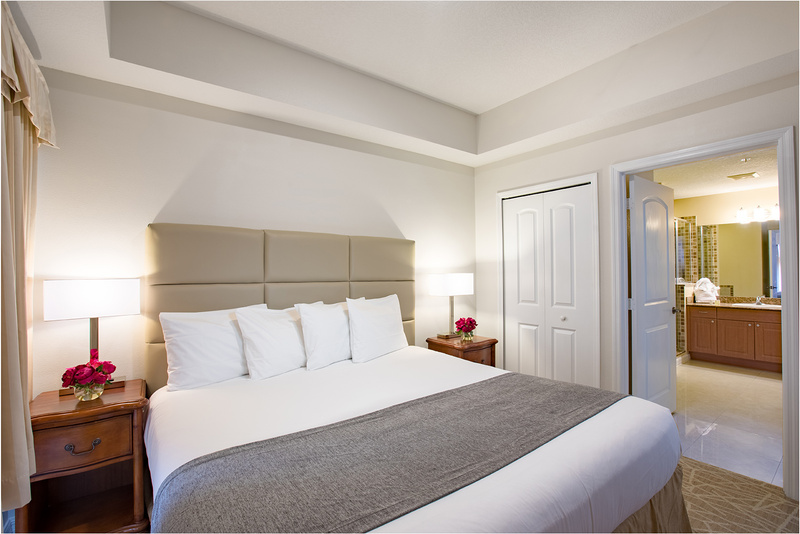 Stay in style with our spacious, modern Double King Suite. Your family or group of four will enjoy relaxing after a busy day at Orlando's conveniently located theme parks or the convention center. 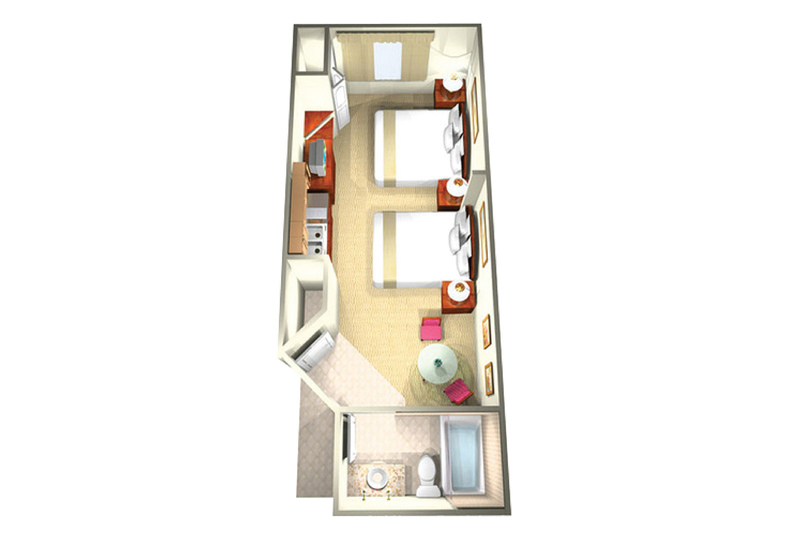 Stretch out in 385 square feet of living space just for you. Book an upcoming stay in our Grand One-Bedroom Suite and feel right at home. 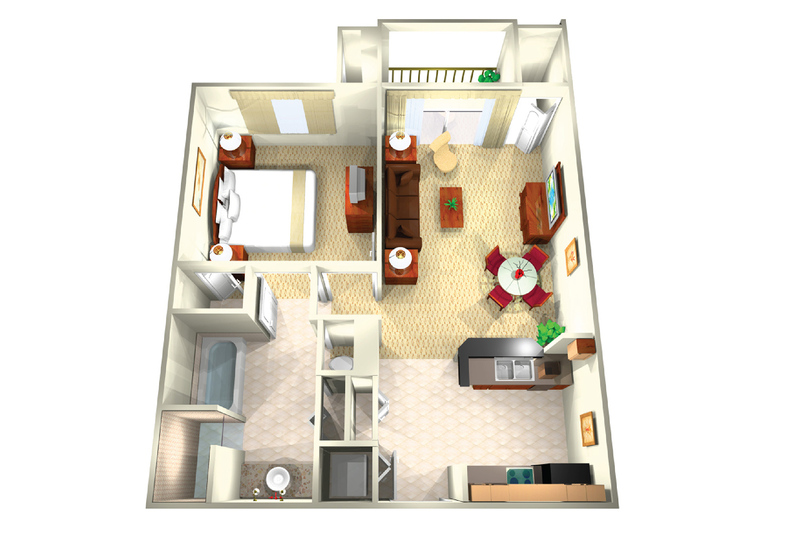 Enjoy the comfort of a separate bedroom, full kitchen and private balcony. 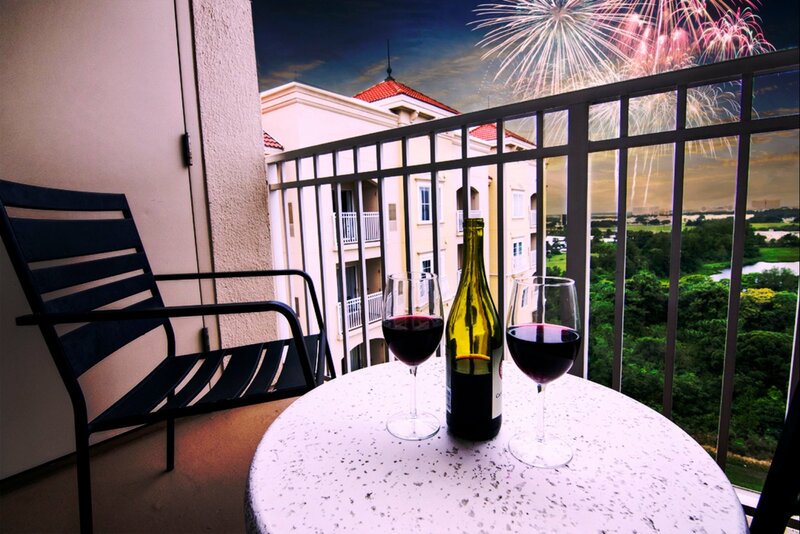 Experience our unparalleled customer service at one of Orlando’s unique boutique hotels. Experience the ultimate luxury vacation - an impressive 1,100 square foot suite featuring two bedrooms, modern living space, full kitchen and private balcony. 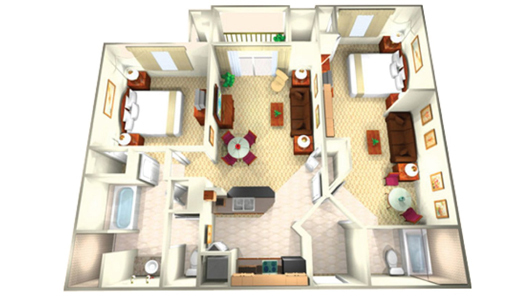 This roomy suite accommodates business groups or a family of eight in style. Book an upcoming stay in one of our full or partial ADA compliant suites and feel right at home. Stretch out in the comfort of a separate bedroom, full kitchen and private balcony with accessible amenities to accommodate your needs. Enjoy unparalleled customer service in these accessible suites that sleep up to 4 or 8 people.